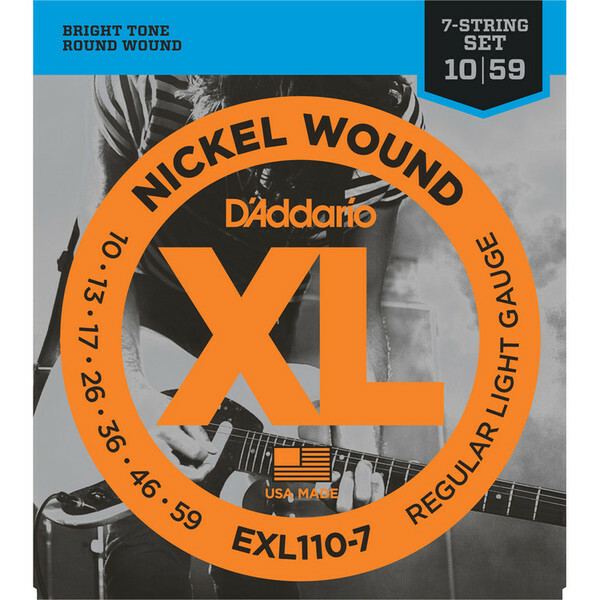 EXL110-7, D'Addario's best selling 7-string set, offers the ideal combination of tone, flexibility and long life. 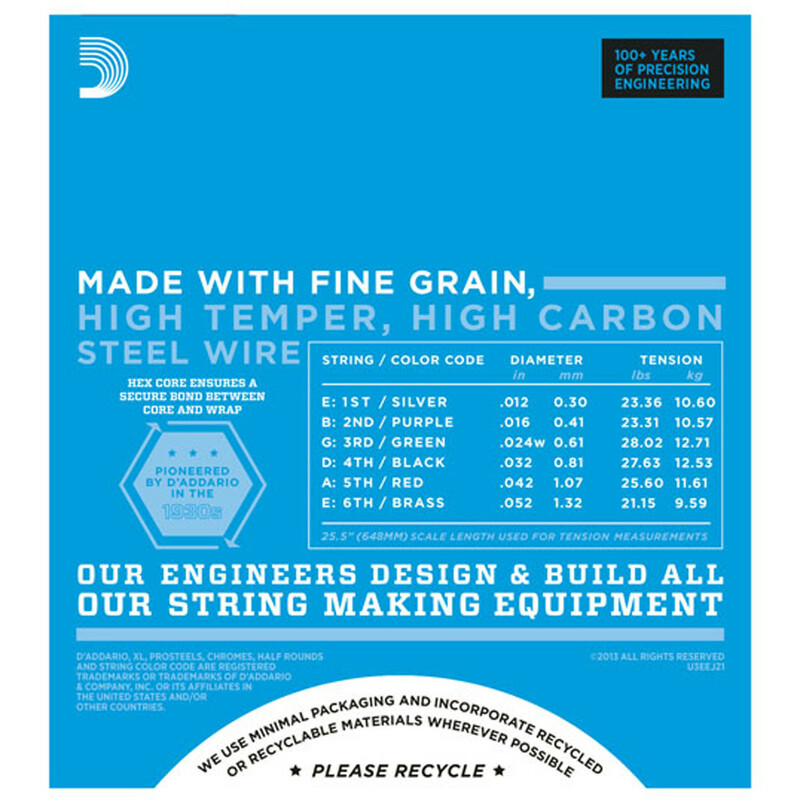 The standard for most 7-string electric guitars. 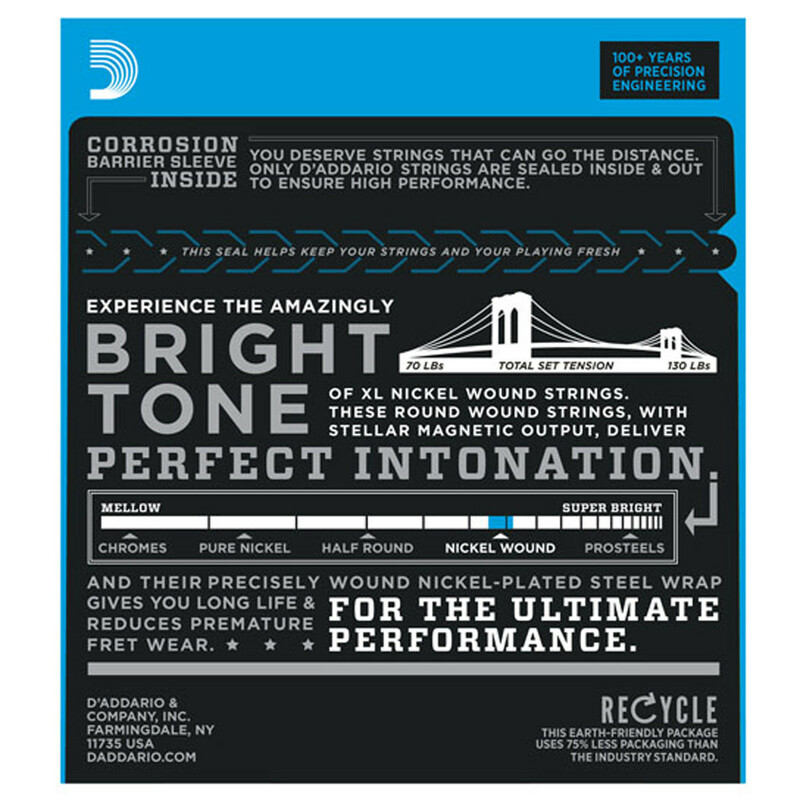 As used by Jay Peavey (Otep) and Herman Li (Dragonforce).